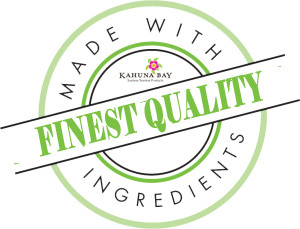 Made in the USA | Parben Free Solution Kahuna Bay Tan Hawaiian Blend Spray Tan Solution is a new color with custom designed Ingredients that are quick-drying, natural, long-lasting, Fragrance: Maui Sun Size: 8oz Please Note: Product may stain light hair, wool, spandex, lycra, silks or other fine fabrics. If product comes into contact with hands or clothing rinse immediately. In clothing, solution is easily removed with regular machine wash. Do not leave contents open or uncovered. Do not pour through metal funnel, stir with metal spoon, or store in metal container. For External Use Only. Avoid Contact with Eyes. Warning: This product Does NOT contain sunscreen. This product Does NOT protect against sunburn.